When I first went natural, I really struggled to find products for my hair. So many of the brands mentioned in the videos and blogs I was following weren’t even in the continent yet, much less readily available in SA. Pretty much everything that was targeted to Black women was for relaxed, weaved or braided hair. For years, I never thought that such a major retailer would ever be stocking products dedicated to us naturalistas. Products that we could buy at the same store as our shower gels, body lotions, and other beauty goodies. 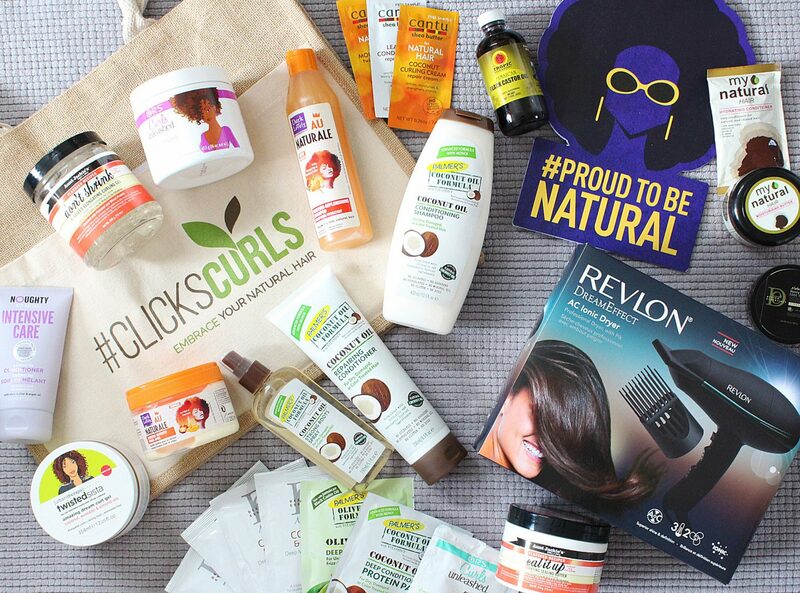 Well, Clicks is now offering just that and recently hosted their first natural hair event to announce their new category for naturals. 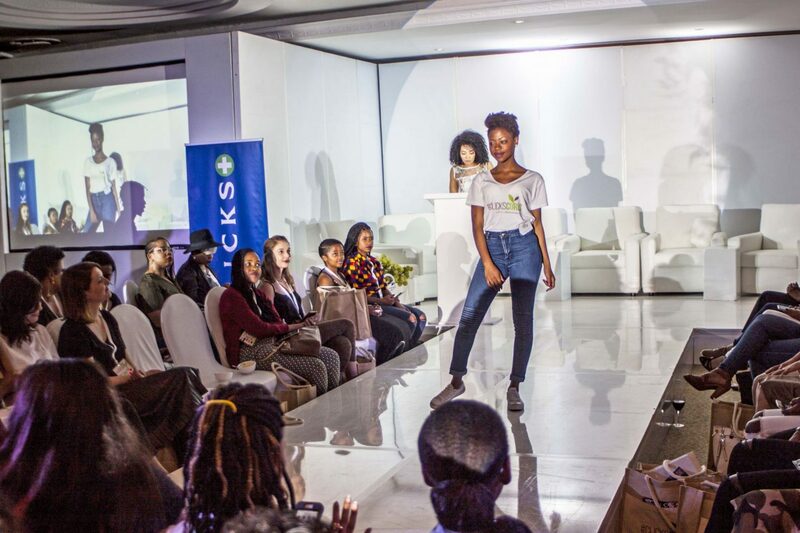 It was an evening of natural hair at its best: live educational style demos, products and brand stalls and an engaging panel of inspirational women. The event was held at Summer Place in Hyde Park. It’s such a pretty venue and the perfect place for us to have been hosted. We started by being given an empty goody bag to fill in with products and samples of the many natural hair brand stands. 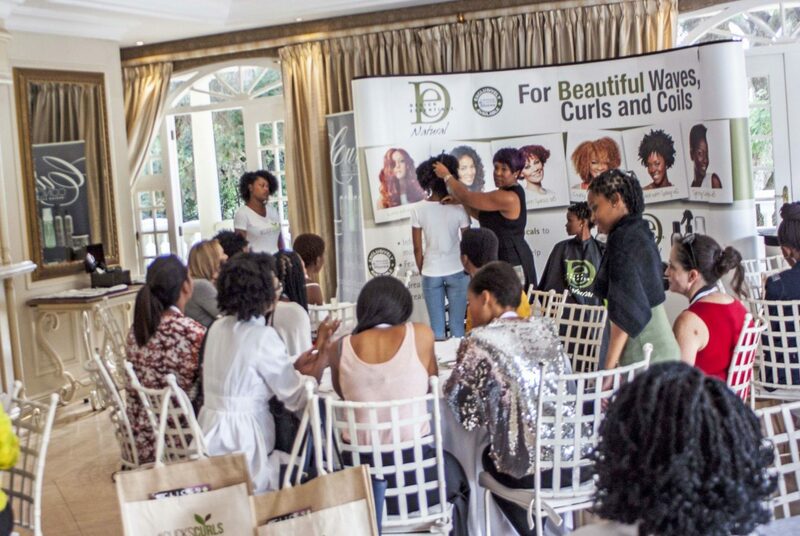 Brands such as Cantu, Design Essentials, Aunt Jackie’s, ORS Curls Unleashed, Dark and Lovely and more were displaying their range of products. 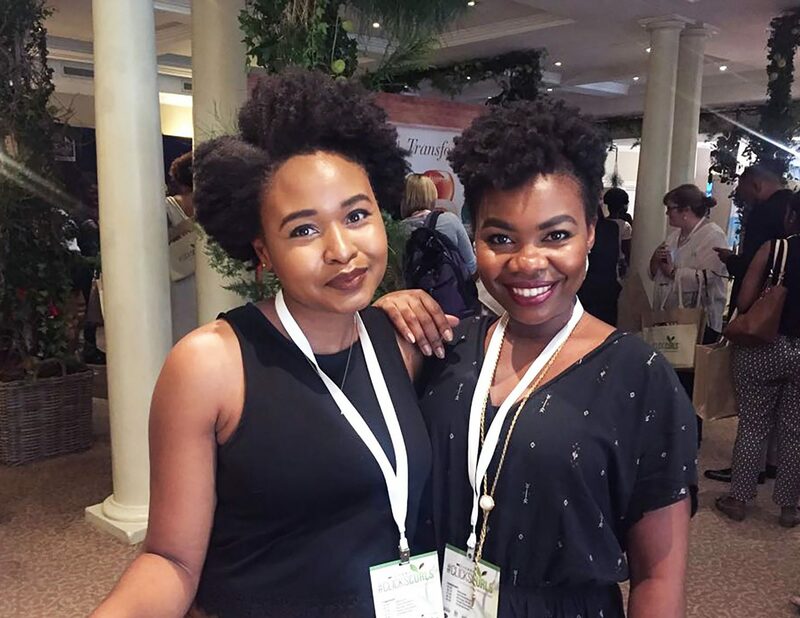 After doing our “shopping”, we were then officially welcomed by Clicks and introduced to the full natural hair category and the brands on offer. The attendees were then split into several groups and each group went off to view a live demo. The first one I attended was Design Essentials’ demo where they had their Global Texture Specialist Alicia Bailey informing us about natural hair basics. She was also setting a lady’s hairstyle, to be undone and shown later in the evening. The next demo was Cantu’s where there was a live big chop. 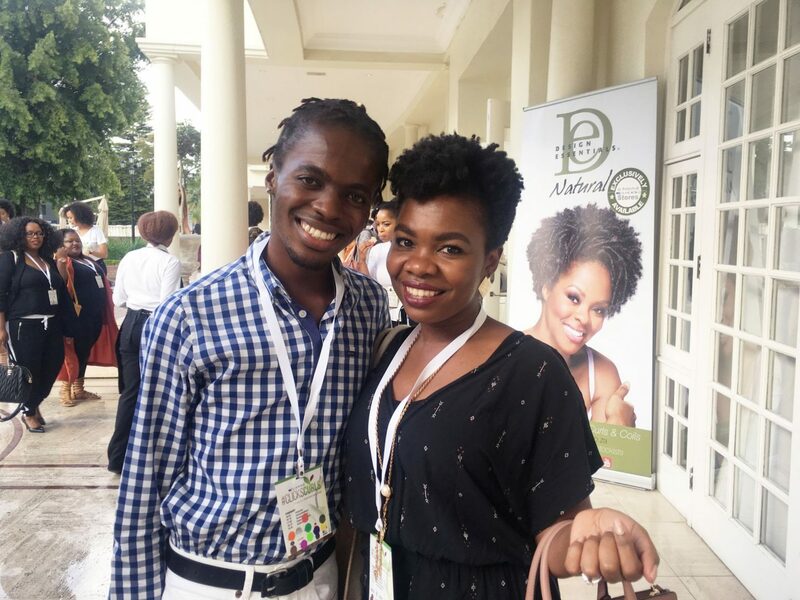 Hair stylist and educator Tumelo Mpholo was chopping the model’s hair as well as chatting to us about Cantu’s products and how to use them. My group then had a chance to mingle and explore the brand stands more while the other groups attended the live demos. 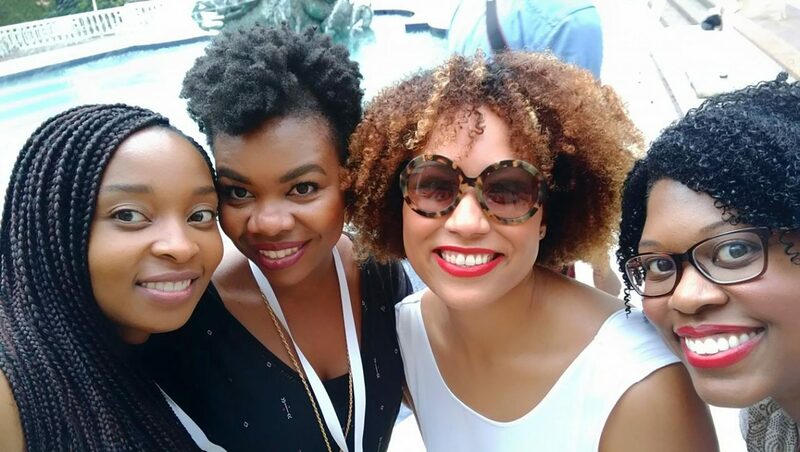 The place was buzzing and I was so excited to be meeting fellow natural hair enthusiasts, old friends as well as my own followers there. With one of my giveaway winners, Luxolo! We all gathered again to see the runway show where the models from the live demos and other natural models showed off their final looks. The host of the evening was Amanda Du Pont, and she chatted to us about her natural hair story before the panel discussion began. 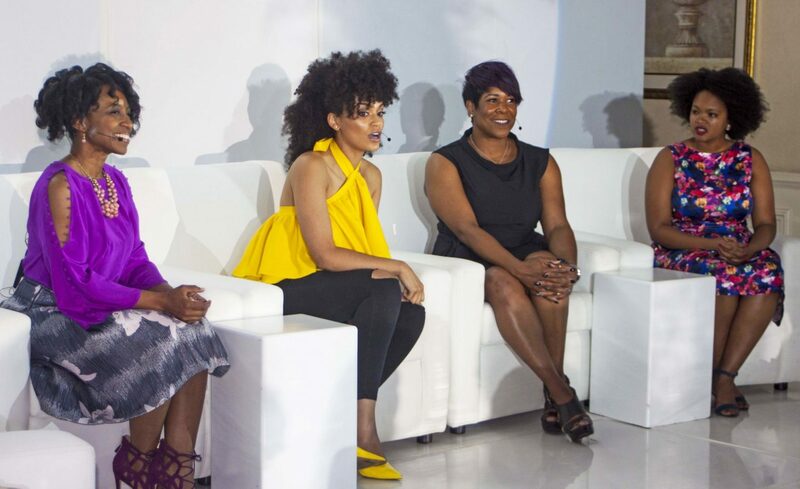 The panel was made up of a nice mix of different natural haired women and experts, including Pearl Thusi and Alicia Bailey. I was so impressed and inspired by hearing their stories and how they went through a similar journey to many of us – from struggling to be socially accepted to being challenged in their work place. Because of their hair. 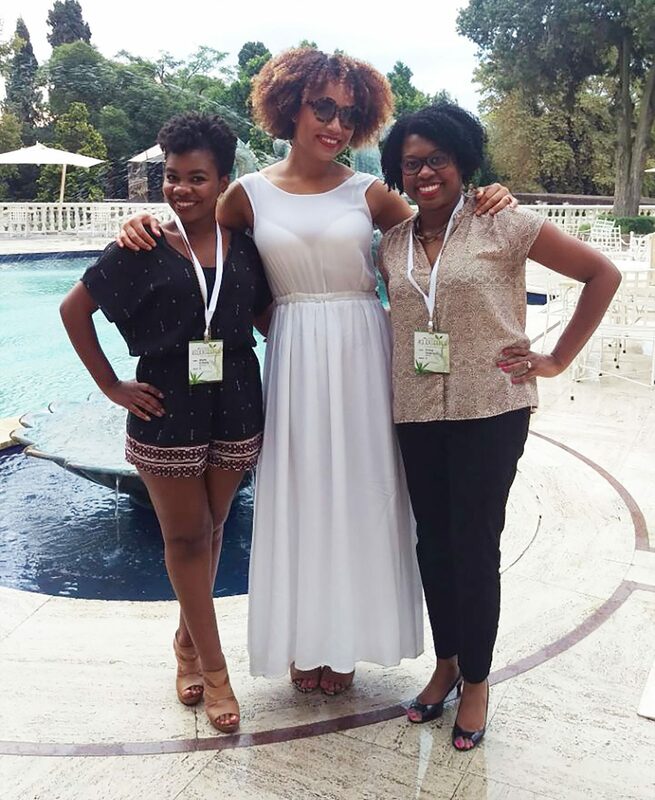 I loved that I was in a space full of natural haired women and supporters and we could openly talk about such things. The evening ended with Donovan Goliath entertaining us with some jokes and laughs. I’ve been to quite a few events and launches and I have to say that so far, this goody bag was one of the best. The idea of ‘shopping’ for your own goody bag contents was brilliant as you could choose which products you wanted more of or would like to try. I’m especially excited to try Cantu, Aunt Jackie’s and Palmer’s products as I’ve heard great things about them. I didn’t manage to grab everything that was on offer but my bag was definitely heavy by the end of the night. The surprise end giveaway to all guests when we were leaving was a blow dryer. A whole blow dryer, with an afro pik and everything. Yes. *This post was sponsored by Clicks. Things like this just confirm to me that I’m living in the wrong province. It looks like you ladies enjoyed yourselves. and you was slaying my life hunty yes! take my edges!